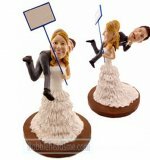 husband / wife, I will love you. I will cherish you. I will be true to you, no matter there is sickness or health,until we are parted by death, and with this ring,as a symbol of this pledge. 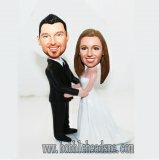 I now marry you". These words always touch one's heart deeply. It must almost make you cry. 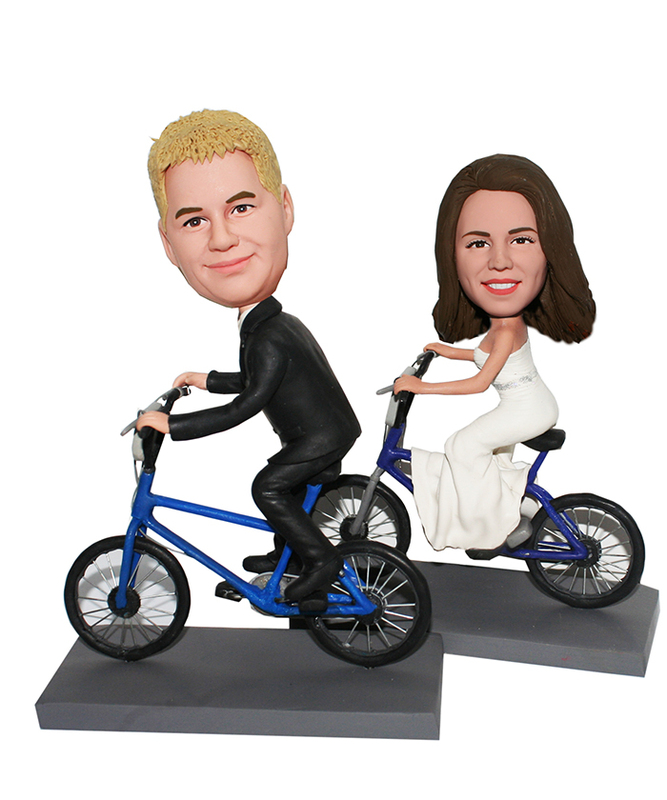 This customized bobblehead dolls depicted a wedding couple riding on bikes, they are on the way to church to get married. And our artist also blessed them too. 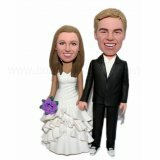 You can send your pictures now, or you can send them to [email protected] after your order been placed. Change the clothing for free，You only leave the message and provide the useful photo for us when you place the order. Type text to appear on the base, 20 characters allowed. Type text to appear under the base, 20 characters allowed.